Collecting antlers shed by deer, elk and moose is popular in Utah. Here's what you need to know to get started. (Courtesy Utah Division of Wildlife Resources) You must complete a free online course before gathering shed antlers in Utah. The course is available at wildlife.utah.gov/shedantler. Collecting the shed antlers of deer, elk and moose is a popular activity for many Utahns in the spring. But the Division of Wildlife Resources is reminding participants that they need to take a free online Antler Gathering Ethics course before heading outdoors to start collecting. The course is available at www.wildlife.utah.gov/shedantler. 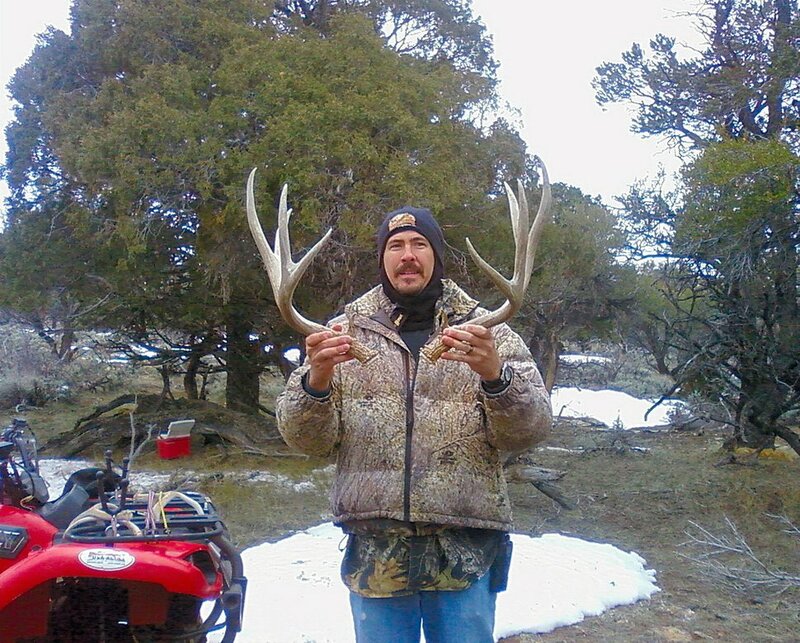 (Courtesy Utah Division of Wildlife Resources) Gathering shed antlers is a fun thing to do in Utah in late winter. Before you gather shed antlers, make sure to complete the state's free online shed antler gathering course. The DWR’s Justin Shirley said the reason for the test — and the concern — is that late winter and early spring can be tough times for big game animals. When you finish the course — children do not need to complete it — print a certificate of completion and carry it with you while you are gathering antlers. The course is required if enthusiasts want to gather antlers from Feb. 1 to April 15. It is not required after April 15. While most areas are open for collecting, many of the state’s wildlife management areas are closed in the winter and spring to protect animals and their habitat. 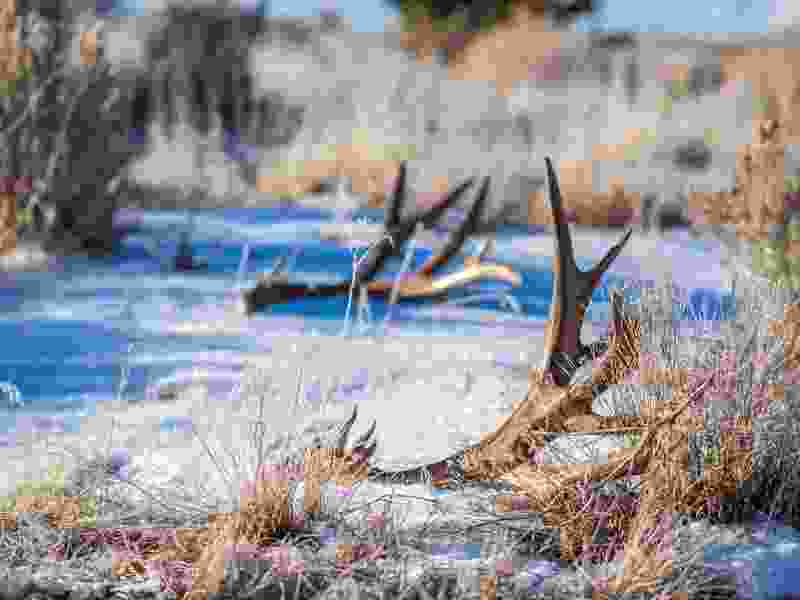 And the DWR reminds gatherers that they need written permission before gathering antlers shed on private land. 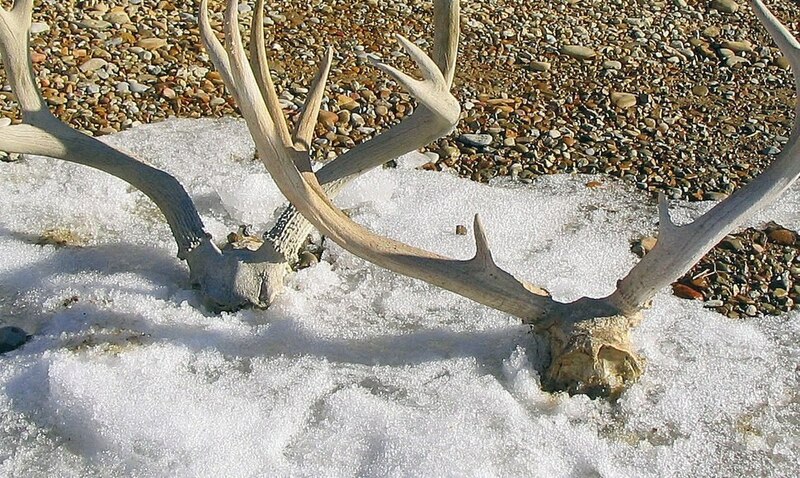 If you find a skull with antlers or horns still attached, that could mean the animal was poached. Law-enforcement officers ask gatherers not to pick up or move the skull but to take photos from a couple of angles, pinpoint the location of the skull and report the find to the DWR. (Courtesy Utah Division of Wildlife Resources) Illegal antlers: These deer antlers are still attached to their skull plate. That means the animals did not shed them as part of their annual life cycle. These antlers are illegal to pick up and keep.